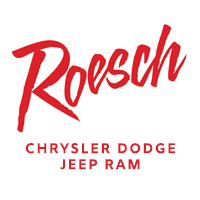 Larry Roesch CDJR is the best place in Elmhurst, IL where you can upgrade your existing Chrysler or Dodge cars, sedans, jeeps, crossovers or minivans through easy and affordable auto loan. Our finance department experts can design such an auto loan or lease for you that would have least down-payment and low APRs. Ultimately you will be able to get a new car and the best part is that payment of it will not be a burden on your pocket. In the first step apply for financing, you will enter your name and contact details such as phone number and email id. Then move to the second step where you will be asked to provide your employment details and the particulars of vehicle against which you are applying for auto loan. Apply for financing with our dealership and get yourself prequalified to take an auto loan from Larry Roesch CDJR, Elmhurst, IL and we will go an extra mile to provide you the most appropriate and affordable car loan.